Accessories Support Components for Scales and Balances. Adam Equipment Accessories provide enhancements, protection, and necessary support for efficiency of balance and weighing operations. 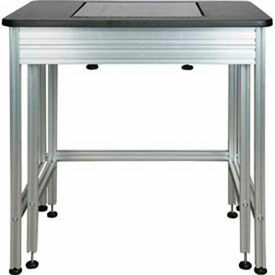 Available accessories are Rolling Cart for Pediatric Tray Scale, Scale Stand, and Anti-Vibration Table Work Surface. Lengths are 18", 24", 30", and 32".Colors are gray, gray/white, and silver/black. 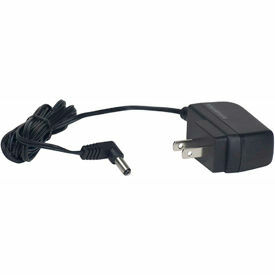 9 Volt Power Adapter/Platter Is Used To Maintain Power For Escali Scales. Indicators Are Used For Industrial Weighing Applications. Indicators are constructed of ABS plastic or stainless stell for long lasting durability. Basic weighing, parts counting, check weighing and dynamic weighing features. Allows fast repetitive weighing tasks with large backlit LCD display and RS232 interface. 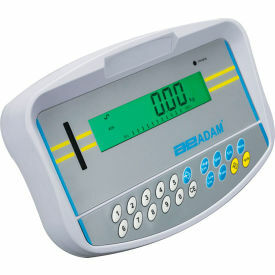 Adam Equipment Thermal Printer And Thermal Paper Are The Ideal For Most Balances And Scales. 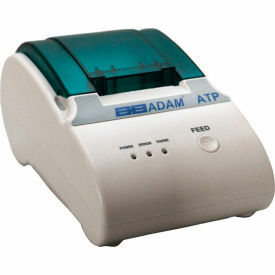 A general purpose thermal roll printer, the ATP is ideal for use with most balances and scales. Designed to be efficient and compact, the printer occupies minimal space on a bench or tabletop. Operation is simple, with an on/off switch, paper feed button and three LED indicators. Ideal for printing applications, the ATP is able to perform a variety of other commands, such as setting tabs, spacing and carriage return. Users can specify absolute position, select or disable double width, and designate line feed. The printer is preset to work with the default RS232 interface on Adam balances, but adapts easily to work with other equipment. Thermal Paper for ATP Printer is sold separately (Global # B1025773). Replacement And Optional Parts Are Used For Applications Including Assembly, Distribution, And More. Replacement and optional parts are made of high quality materials for long lasting durability and dependability. Accessories accommodate various measuring, packaging, and supply applications. 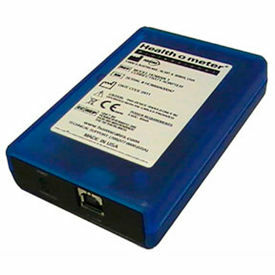 Adapters connect a digital scale to vital sign monitors for weight, height, and BMI measurements. Available styles include 600 Series Stainless Steel Bezel, 600 Series Stainless Steel Platform, 625 Rotating Dial Assembly, 632 Rotating Dial Assembly, 832 Over/Under Rotating Dial Assembly, Counterweights for Professional Mechanical Beam Scales, Extended Tray, Ice Cream Holder, and more. Colors are Black, Blue, and Silver. Dimensions vary per model.